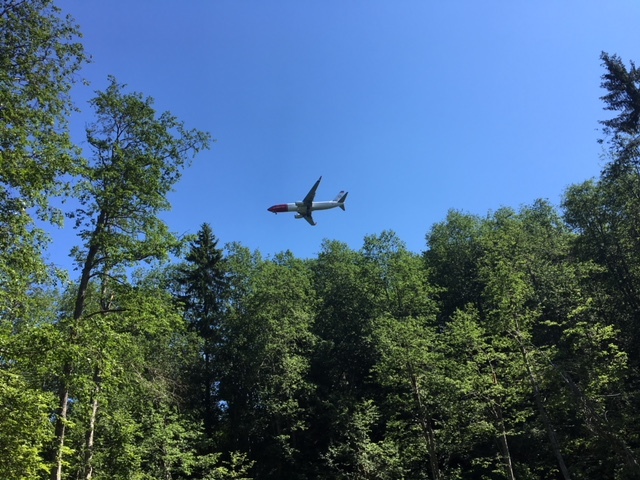 PHOTO FEATURE: Jets still fly every day over the site of a wartime plane crash in 1945 that tragically killed British liberators just before they were due to land themselves at what’s now Oslo’s main airport at Gardermoen. They came to help ensure the unconditional surrender of Nazi German forces, and now a memorial to the 20 men who lost their lives offers a shady oasis amidst unique ravines complete with birdsong and the roar of modern aircraft coming in for landing. Norway is full of surprises, some of them located in the most unexpected areas. This one lies just southwest of OSL Gardermoen, a short walk from the Scandic Airport Hotel and carefully tended by the local communities of Nannestad and Ullensaker. They’ve marked a nature trail through what ranks as one of Northern Europe’s best-preserved ravine environments. 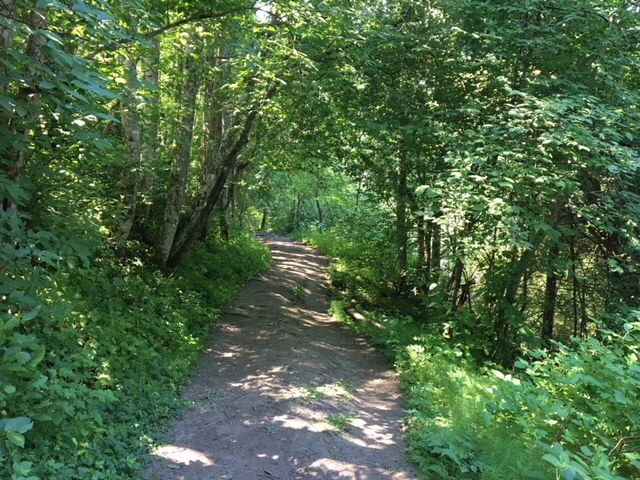 The trail, shown above, is perched on a ridge with steep drop-off points to ravines on either side, and lately it’s been used by eager hikers keen on becoming even more familiar with the hills and forests around Oslo. The area recently attracted a post to be found by those participating in the local Kjentmannsmerket program backed by the ski association Skiforening. This trail, however, is not best-suited for skiing. 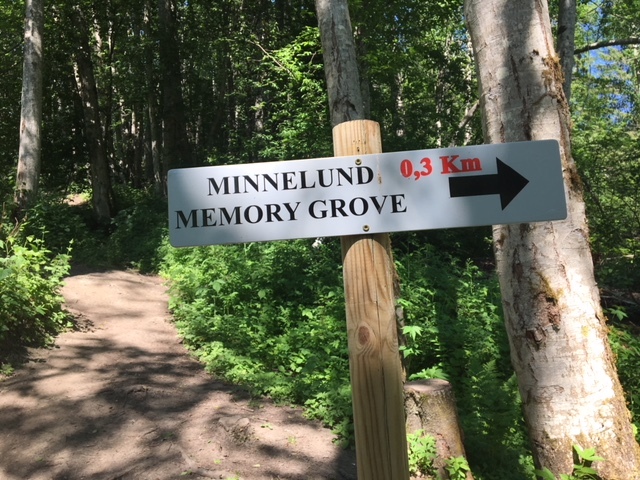 It eventually leads to the “Memory Grove” where the Short Sterling aircraft with 20 British military officers and enlisted personnel on board crashed on approach to what was then a military airfield at Gardermoen. Bad weather on May 10 1945, just two days after Norway’s liberation, had already forced many of the flights heading from England to Norway to turn around. The joy of the liberation was clouded by the crash that initially resulted in the burial of all victims at the scene. 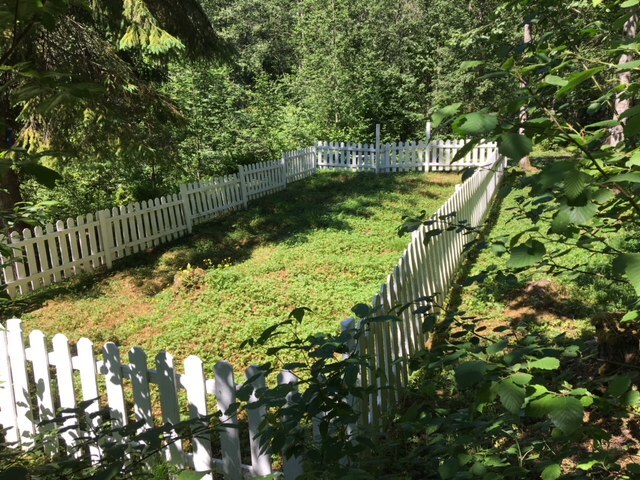 The simple white picket fence set up around the British soldiers’ hastily arranged graveyard still stands. 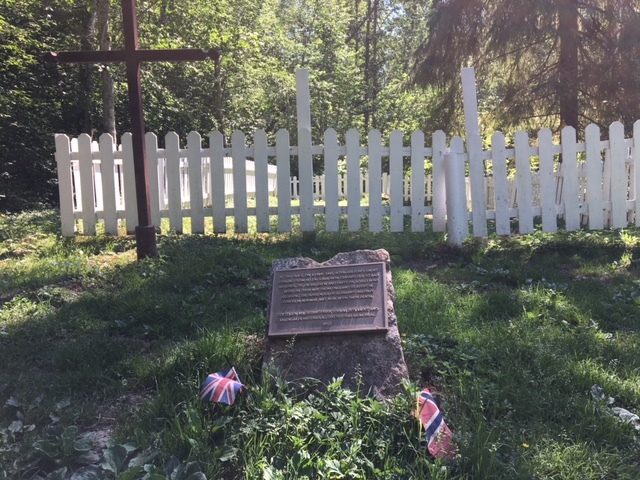 The bodies of the victims were later exhumed and moved to a graveyard in Oslo just six months after the crash, but an information plaque about the “Operation Doomsday” in which they participated was erected nearby, along with a small memorial plaque. The plaque was set up as late as 2012, while the iron cross in the background dates from the time of the crash. Small British and Norwegian flags were also still there when visitors escaping last weekend’s heatwave made the shady hike last Sunday, at a time of year when the local birdsong was at highest pitch. Local historical organizations renovated the site and set up the plaque, along with guestbooks that have been signed by hundreds of visitors. “Where would we be without their courage,” wrote one man in the guestbook last year. 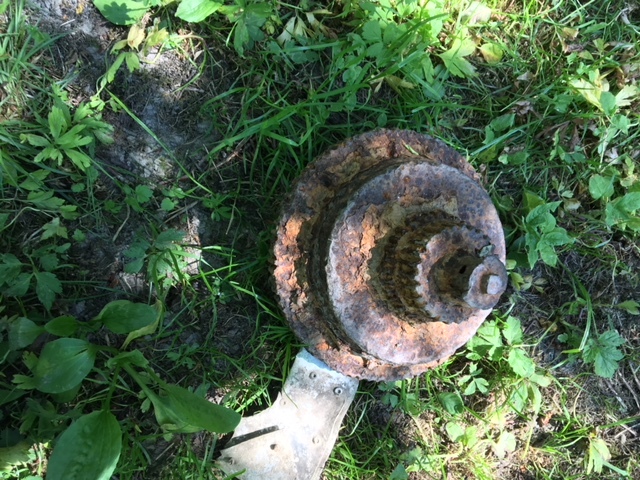 Remnants from the crash can still be found on the ground around the memorial site. They’re left undisturbed, as another tribute to the victims who were sent to Norway help make sure the terms of Nazi Germany’s surrender were followed. There were around 350,000 German troops in Norway at the time, while Norway itself had only its small troops of resistance fighters in the country and a minimum of allied troops to oversee it all. 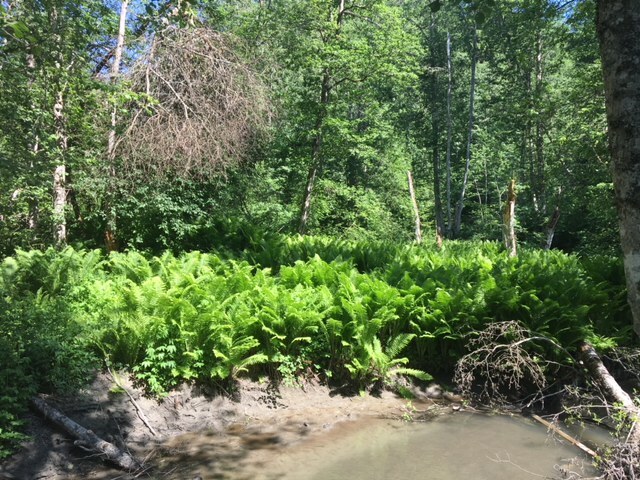 The short hike to the memorial site runs through the scenic ravine area that’s now a densely forested nature preserve complete with fern grottos. In between the jets roaring overhead it’s a peaceful place that, according to the guestbook, has attracted airline flight crews and travelers on layover at the airport, in addition to those staying at nearby airport hotels. Many Norwegians have made their own pilgrimages to the site as well. Memory Grove near Oslo Airport (OSL) from newsinenglish.no on Vimeo.